Abdullah, 30, has been married six years. His elaborate wedding cost him close to USD $100,000, more than he expected, and he and his family are still recovering. He and his wife have 3 girls, whom he loves dearly, but he desperately yearns for a boy to carry on his family name. Abdullah is very different from his childhood friends. He is very religious and is quick to talk about Allah and his beliefs. His friends are not shy to share with each other about their unfaithfulness to their wives and their frequent weekend trips out of the country to do so, but Abdullah refuses to participate. He is focused, which sets him apart; he has already completed a Ph.D. in the US. Abdullah is raising his kids to be responsible and hard working. Although they have maids at home, he and his wife make sure they personally raise their kids. Abdullah’s family is well to do but not rich. 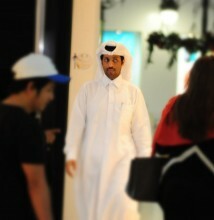 The electric company replaced him and his Qatari coworkers at the electric company with Asian workers. 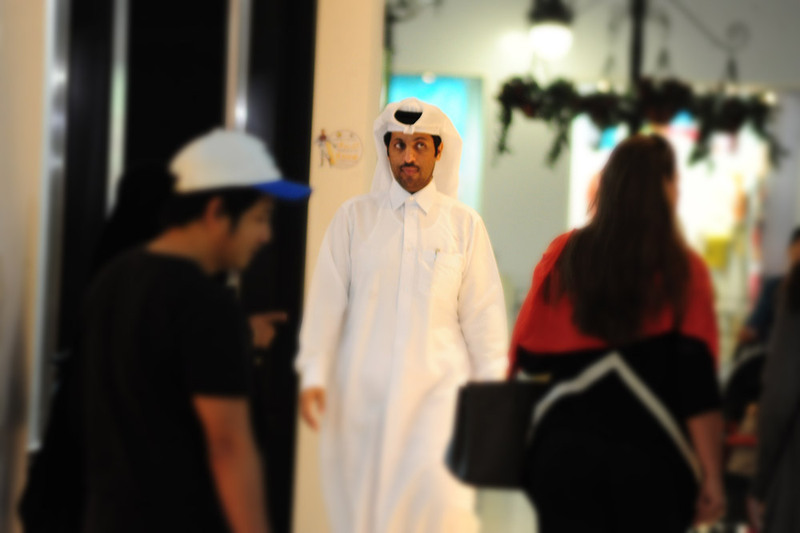 He is frustrated by the bias against educated Qataris because they expect too high a salary. He sees foreigners getting the jobs he wants.